A cannabis compound has been proven for the first time to reduce the frequency of seizures in people with a rare, severe form of epilepsy, according to the results of a randomized trial. For years, parents have pointed to anecdotal benefits of cannabidiol (CBD), a compound in the marijuana plant that does not produce a high, saying it reduces seizures in treatment-resistant epilepsy. Now doctors have performed a large-scale randomized trial to show cause and effect, with the findings published in Wednesday’s issue of the New England Journal of Medicine. To conduct the study, the researchers focused on Dravet syndrome, a rare form of epilepsy that begins in infancy and has a high mortality rate. The syndrome is linked to a particular mutation and often resists combinations of up to 10 conventional seizure medications. They enrolled 120 patients who ranged in age from 2.5 to 18 years. Sixty-one patients were randomly assigned to cannabidiol, and the 59 others to placebo. Neither the researchers nor the families knew who received the medication to prevent bias. All continued to take their existing medications for 12 weeks. “The message is that cannabidiol does work in reducing convulsing seizures in children with Dravet syndrome,” lead author Dr. Orrin Devinksy, who is director of NYU’s Langone Comprehensive Epilepsy Center, said in a hospital video. For those in the cannabinoid group, the median number of convulsive seizures per month dropped from 12.4 per month before treatment to 5.9 seizures, the researchers reported. The placebo group, in comparison, only saw their convulsive seizures fall from 14.9 per month to 14.1. The study was funded by GW Pharmaceuticals, which also designed and helped run it; one of the company doctors involved also has a related patent pending. The most common adverse event was drowsiness, reported in 22 patients in the cannabidiol group and six patients in the placebo group. Many of these patients were taking another anti-epileptic medication. Some gastrointestinal effects, such as vomiting and diarrhea, were also reported. A total of 12 patients quit the study: nine on the drug and three in the placebo group. Dr. Mark Ware, who directs the Canadian Consortium for the Investigation of Cannabinoids, says the findings add credibility to the widely held anecdotal view that CBD helps patients with epilepsy. But he cautioned that the CBD used in the trial is a pharmaceutical grade product, administered under carefully controlled experimental conditions with careful medical supervision. “It is important to note that not all patients will respond,” Ware said in an email. The McKnight family, of Constance Bay, Ont., has used a combination of high CBD, low THC oil to control seizures in their nine-year-old son, Liam, for four years now. He has Dravet syndrome. Before he started using the oil, Liam was having upward of 80 seizures per day. They left him catatonic, lying on the couch, unable to walk or go to school — despite taking up to 10 anti-seizure medications. Within 24 hours of starting the oil, McKnight says Liam’s seizures stopped for 10 days. Though the seizures came back, she estimates the frequency was about 90 per cent less than before. Liam can now go for weeks without a seizure, although they tend to return when he is sick with an infection. At Toronto’s Sick Kids Hospital, neurologist Blathnaid McCoy is conducting a similar study. She and her team have just enrolled their 20th and final participant in a Tilray-sponsored trial of a combination CBD and THC treatment for children with Dravet syndrome. McCoy noted there is a significant placebo effect when it comes to epilepsy. That’s why it’s so important that this team was able to show improvements in seizures above placebo. “If it improves your seizure control, then families will accept a certain amount of side-effects,” McCoy said. McCoy noted that a THC-CBD combination product is what’s available in Canada, so it’s what patients here are using. But, she adds, THC may have some added benefit since it binds directly to cannabinoid receptors. Since little is known about using THC medicinally in children, figuring out the safe dose and limiting side-effects will be key, McCoy said. Another pediatric epilepsy specialist sees a potential role for cannabis-based treatments in a select group of children with resistant epilepsy, including those with Dravet syndrome. “To parents I would caution that while cannabidiol is a plant-based product, it appears to have the potential to interact negatively with other antiseizure treatments and cause side-effects,” said Dr. Richard Huntsman, a pediatric neurologist at the University of Saskatchewan. He is co-leading a pilot study of highly concentrated CBD oil in children with epilepsy. Medical supervision is key in part because CBD could affect liver function, said Dr. Danielle Andrade, a neurologist and director of the epilepsy program at Toronto Western Hospital. Andrade is concerned about misconceptions of using CBD in other types of epilepsy when there is no evidence it works. “All the patients that were treated, they have very significant learning disability, developmental disability. We don’t really know what effects it could cause someone who is higher functioning,” Andrade said. 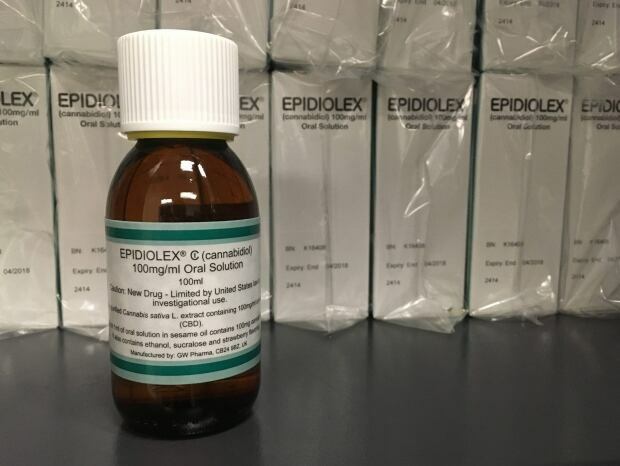 The CBD product used in the study, called Epidiolex, is not approved by regulators or available for sale.